Luther Eugene (L.E.) 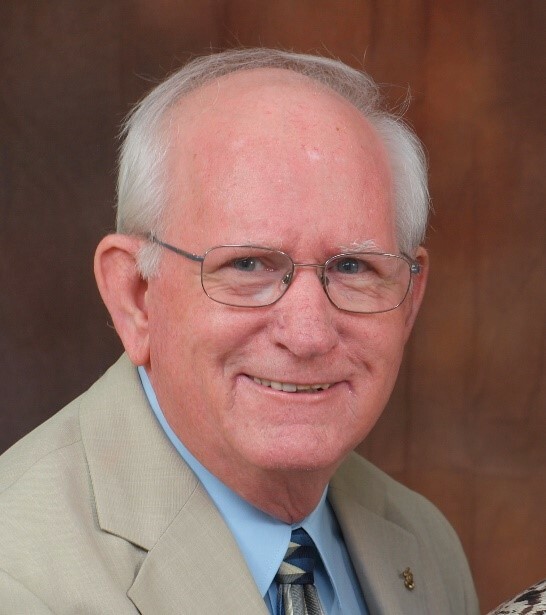 “Gene” Walters died peacefully at home on October 15, 2018, in Highlands, Texas, at the age of 81. Gene is survived by his wife Diane Wallace Walters of Highlands, Texas, brother Roger Dean Walters of Morton, Illinois, sister-in-law Linda Wallace Wood of Topeka, Kansas, children Janet Kay (David) Sander of Fort Worth, Texas, Frank Eugene Walters of Los Angeles, California, Kenneth Ray (Christina) Walters of San Jose, California, Leslie Anne Hungerford (John) Deines of Papillion, Nebraska, Holly Sabrina (Owen) Justice of Wylie, Texas and Amy Kathleen Hungerford (Johnny) Buffum of Hockley, Texas, along with 13 grandchildren and 6 great-grandchildren, and many nephews and nieces. He is preceded in death by his father Luther Elliot Walters and his mother Beatrice Layne Walters, both of Betsy Layne, Kentucky and his sister Vivian Walters Blayton of Odenton, Maryland, son Danny Dean Honnoll of Galveston, Texas, and many uncles and aunts. When asked what has given him the most joy, Gene quickly replied, “Accepting Jesus the first time and renewing my faith at Highlands United Methodist Church.” Serving his Lord and Savior Jesus Christ side-by-side with wife Diane, Gene served many roles but his favorites were being chair of Membership Care committee and head of Ushers. Attending his Walk to Emmaus in 1993 was so fulfilling that it inspired him to take guitar lessons. He loved serving on Walks to Emmaus weekends, especially as musician. He was ‘on fire’ for Jesus. Gene worked for NASA as a draftsman and later learned electrical design and worked with Exxon in Baytown. After retirement, Gene enjoyed target shooting. He proudly showed his targets to family and friends, and would have loved to post them on the wall in the garage! He thought it would deter criminals! Gene expressed his love for each and every one of his family. He said that he thought of his family even when he was away at work and school. He prayed for each member daily, as he did his devotional time with The Upper Room. Gene was very conscientious about taking care of himself and he had a team of doctors over the years. He recently had much loving care at Houston Methodist San Jacinto Hospital and Compassus Hospice. Gene fought several cancers but this last one was too much. Services will be at Sterling White Funeral Home and Cemetery, 11011 Crosby-Lynchburg Rd, Highlands, Texas 77562. Visitation will be on Friday, October 19, 2018 from 5 pm to 8 pm. The Celebration of Life will be on Saturday, October 20, 2018 at 11 am at Sterling White. Pastor Susan Grittman will be officiating. Lunch for family and friends will follow at Highlands United Methodist Church, 107 W. Houston, Highlands, Texas. Pallbearers will be Frank Walters, Kenny Walters, David Sander, Owen Justice, John Deines, and Johnny Buffum. Honorary pallbearers will be grandsons Max Buffum, Ryan Walters, Skyler Walters, Jack Buffum, and great-grandsons William Fallon, Reilly Fallon, and Landon Fallon. Place of internment will be at Sterling-White cemetery, the military section.